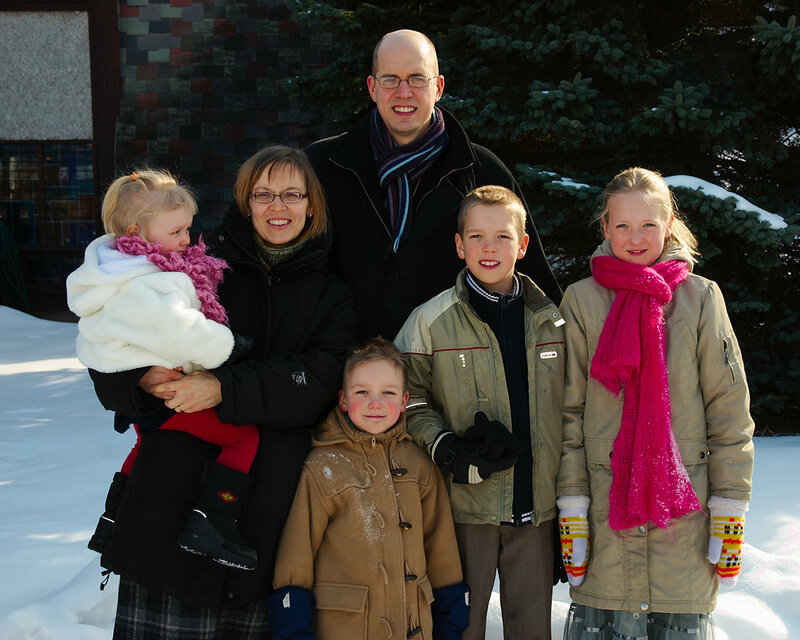 On New Year’s Eve we welcomed the Pohjola family into the seminary community. Pastor Juhana Pohjola, Dean of Luther Foundation–Finland, arrived that night from Helsinki with his wife Päivi, and children Anni, Aaro, Olli, and Lotta. Pastor Pohjola and family will be in St. Catharines for 18 months while he pursues research towards his doctoral dissertation. His arrival coincided with the seminary faculty’s desire to resurrect the old lay studies courses that were so popular in the mid-1990s. He enthusastically agreed to be the teacher for the first offering in what we hope will be another long and happy string of classes. “Vistas on the New Testament”, a ten-week dash through the NT on the basis of the English text, has received a very warm welcome. Some 18 participants, travelling from as far as Grimsby to the west, and New York state to the east, have come out each Tuesday night for the lively discussion of the text. 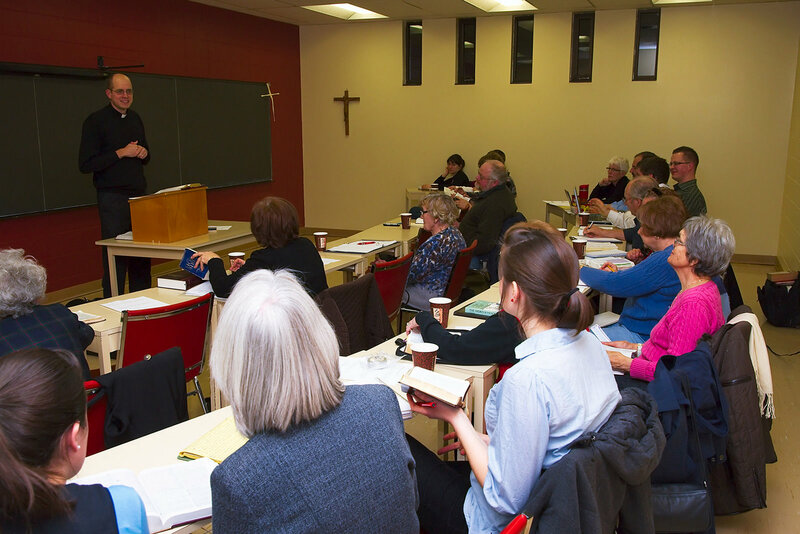 In addition, two first-year seminary students are participating as part of their pre-seminary studies. They are benefitting greatly from watching an experienced Bible teacher at work. If a course like this interests you, keep your eye out for fresh offerings next year. Contact Bonnie Stephenson (bstephenson@brocku.ca) to be placed on a list to receive the news. Thank you for receiving the Pohjola family into our CLTS family from Helsinki -Finland, to join the teachers in New Testament offering course. I had the interest in the course, I would like you to keep me inform about the events related to the course. We wish them happy stay in CLTS -Canada with God’s blessings upon his family and his ministry.